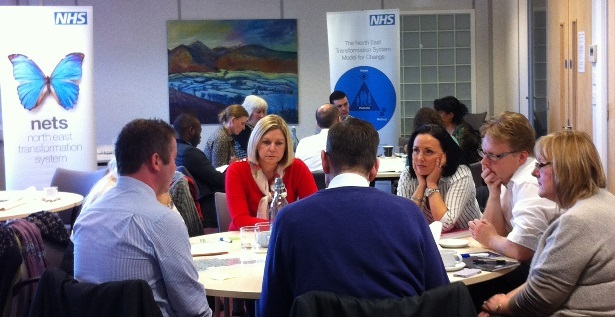 The last network event of the year took place on Friday 12th December at Allergate House. Delegates joined in table top presentations of their ongoing improvement work. Please click on the link to access the presentation from NHS Innovations North. NETS’ fourth share and spread conference was held at Ramside Hall Hotel on Friday 12 June 2015. Read more for downloads including 41 posters and 11 poster video stories. This network meeting took place on Thursday 25 September 2014 at the Centre for Life and featured talks from Professor Sir John Burn and Harsh Sheth of QuantuMDx.